You are fascinating. Not never boring. 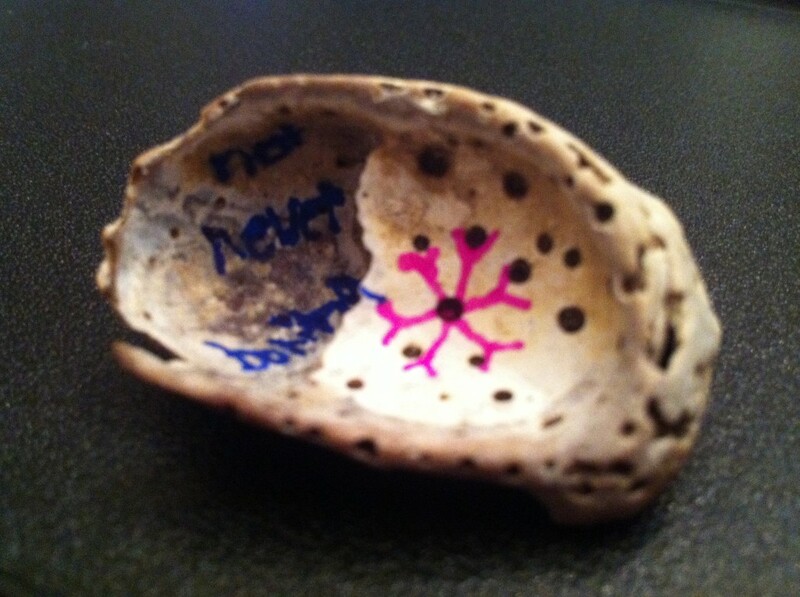 This shell picked because it was unique–holes along the sides of the shell. The blue color picked for writing the words because it is the adviarter’s favorite color. The pink snowflakes picked to add to the notion of being unique–since each snowflake is unique in its own right. The mixture of words and design makes me remember the advice and the discussion about following passion and moving forward in pushing the boundary and not being scared to share research and work in any environment. How can we remain fascinating? How can a person become fascinating? The question that lingers in my mind is the link between self-reflection and the perception of fascination. Not never boring is also one of my favorite parts of this adviart. If you have many interests, it is hard to be boring. If you keep learning, it is impossible to be boring. 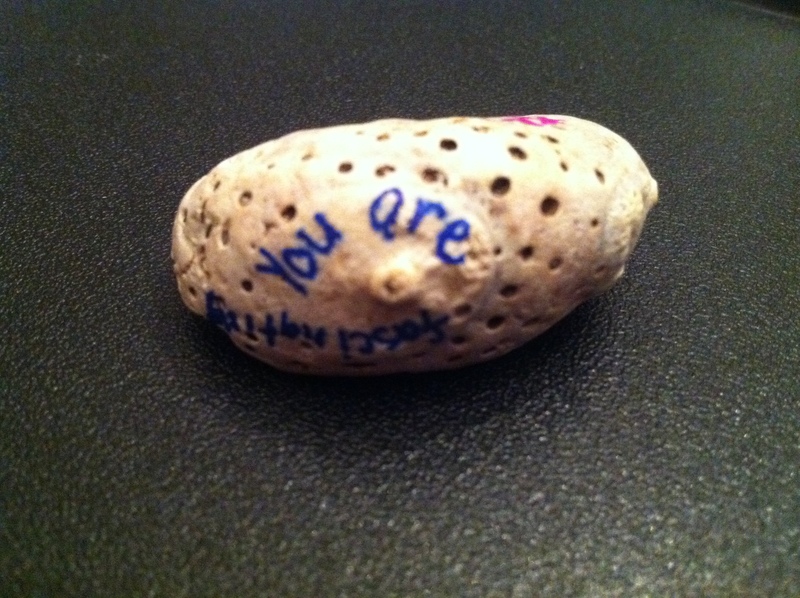 Lesson of the shell: KEEP LEARNING.